The lad from Shard End, Birmingham who gained global fame as the frontman and co-founder of ELO (Electric Light Orchestra), Jeff Lynne, is to be honoured with a star on Birmingham’s Walk of Stars on Thursday 13th March 2014. The composer, music producer and Brummie rock hero will join fellow musicians Ozzy Osbourne, Tony Iommi and Roy Wood, in having a star etched with his name on Broad Street, in the heart of the city’s convention and entertainment quarter. Last year he was awarded a star on Hollywood’s Walk of Fame in recognition of a vast and illustrious career that has included a highly successful production and writing career, a solo career and the creative force behind the fifty million record-selling Electric Light Orchestra. After the undoubted success of ELO, between 1972 and 1986, Lynne wrote and produced 26 Top Forty hits in the United Kingdom, and 20 Top Forty hits in the United States. 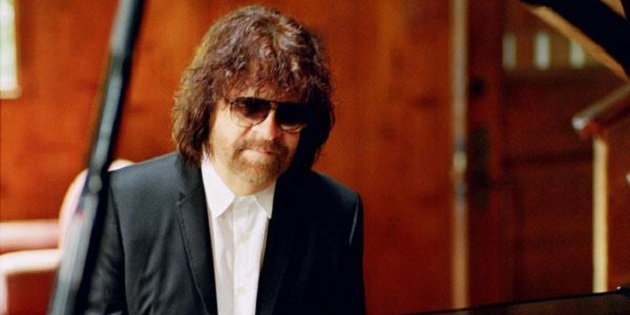 As a producer, Jeff Lynne has worked with some of the biggest names in music, including Roy Orbison, Del Shannon, George Harrison, Paul McCartney, Ringo Starr, and remarkably, even the Beatles themselves, as well as contemporaries like Tom Petty and Joe Walsh. Together with Harrison, Orbison, Petty and Bob Dylan, Lynne was, of course, a member of the Grammy award-winning Traveling Wilburys–a super group like no other. Last year Jeff Lynne released his first solo record in twenty years ‘Long Wave’ which went in at number 5 where it was quickly joined by the remastered ‘Mr. Blue Sky’ (debuting at 7) and ‘All Over The World – The Best Of ELO’ (debuting at 10) all in the same week! In 2014 Jeff Lynne is still working hard on his music and has written a new track for the Hollywood blockbuster, American Hustle, which was announced Winner in the best Motion Picture (Musical or Comedy) category at the Golden Globes on 12th January 2014. Lynne will be presented with a duplicate of the commemorative star by his good friend, comedian Jasper Carrott, himself a recipient of a star in 2007, at a private ceremony to be held at the city’s new Library of Birmingham. Jasper Carrott, chair of the Walk of Stars said “Jeff’s accomplishments in the field of music are almost too many to mention. As well as being responsible for some of the most classic pop songs of all time, he’s also an outstanding producer and multi-instrumentalist whose passion for music has never waned. We’re delighted that he’s found time to come home to Birmingham and take his rightful place on the Walk of Stars”.